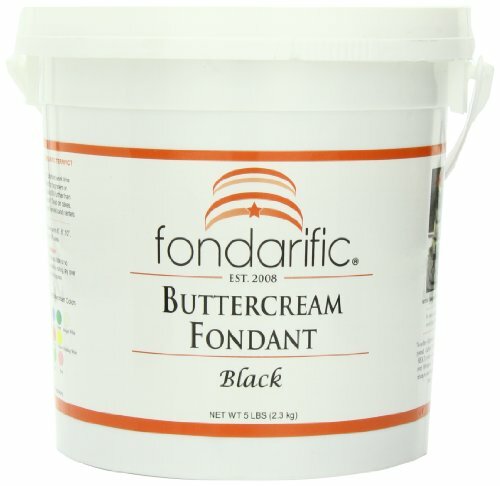 BUTTERCREAM FONDANT - We offer the first original buttercream flavor on the market with a rich, creamy texture. The World's Best Gourmet Fondant; Great on cakes, cookies, cupcakes; candy centers, and petit fours. FONDARIFIC FACTS - No Trans Fats; Gluten Free; Nut Free; Fruit flavors are a good source of vitamin C; 2 year shelf life; Contains milk product; Can be frozen; Excellent Pliability . MADE IN AMERICA - Fondarific is revolutionizing the Fondant World, manufacturing a high quality gourmet fondant in the USA. We even packaged our fondant in food grade reusable containers that are made in the USA.